Posted byRevEverett	 September 23, 2012 Leave a comment on They Will Know We are Christians By Our Snark? James 3:1-12 Not many of you should become teachers, my brothers and sisters, for you know that we who teach will be judged with greater strictness. 2For all of us make many mistakes. Anyone who makes no mistakes in speaking is perfect, able to keep the whole body in check with a bridle. 3If we put bits into the mouths of horses to make them obey us, we guide their whole bodies. 4Or look at ships: though they are so large that it takes strong winds to drive them, yet they are guided by a very small rudder wherever the will of the pilot directs. 5So also the tongue is a small member, yet it boasts of great exploits. How great a forest is set ablaze by a small fire! 6And the tongue is a fire. The tongue is placed among our members as a world of iniquity; it stains the whole body, sets on fire the cycle of nature, and is itself set on fire by hell. 7For every species of beast and bird, of reptile and sea creature, can be tamed and has been tamed by the human species, 8but no one can tame the tongue—a restless evil, full of deadly poison. 9With it we bless the Lord and Father, and with it we curse those who are made in the likeness of God. 10From the same mouth come blessing and cursing. My brothers and sisters, this ought not to be so. 11Does a spring pour forth from the same opening both fresh and brackish water? 12Can a fig tree, my brothers and sisters, yield olives, or a grapevine figs? No more can salt water yield fresh. James is a strange text. It may have been written by Jesus’s half brother James. Or not. The well-schooled Greek seems more than what a simple Galilean carpenter could compose. The letter is written the a classical Hellenic form- a “diatribe”- replies to “imaginary interlocutors,” a little like Clint Eastwood at the Republican National Convention speaking to an empty chair. The Letter of James poses a real challenge to the ancient and contemporary Church. James seems to be addressing a Christian community divided. His two main concerns are how the community treats the rich and the poor and how the community disagrees. These are James’s test for true faithful living: how do you treat the poor and how do you speak. The lectionary text this week focuses us on James concern about how the Christian community speaks. James works three different metaphors about speech: a horse’s bit, a ship’s rudder and a small fire in a large forest. Each time, James is pointing to something larger. We’ve got this small tongue, but it can cause a lot of trouble. Controlling your tongue is like putting a bit in a horse’s mouth- this small piece of metal actually guides the entire movement of the horse. Or a boat’s rudder- this small piece of wood actually guides the entire movement of the large ship. For James, our tongues, our speech guides the entire direction of our lives. There’s great potential, great power in our speech for James. Tongues can be dangerous things, like verse 5 “so also the tongue is a small member, yet it boasts of great exploits.” But for James, an uncontrolled tongue is like a small fire in a large forest. James sees potential to do unbelievable damage with our words. This week was set ablaze with violence because of the words of a few unchecked tongues. The truth is still unfolding, but what we know now is that an anti-Islam film speaking falsehoods about the Prophet Mohammed sparked riots, destruction and even death. Initial media reports suggested that the filmmaker Sam Bacile was Jewish and Israeli. Later reports uncovered that the Sam Bacile might not even exist, and the person pretending to be a filmmaker named Sam Bacile is an Egyptian Coptic Christian. Add into the volatile mix the Florida pastor Terry Jones, best known for his Koran-burning stunts. These events, and the local impact of them, remind me again and again why we need the connections of the Massachusetts Council of Churches as we work to build healthy and favorable relationships with our neighbors from other religious traditions. It an age of near instantaneous communication, we saw this week how the foolish words and images from one person could ignite a tinderbox of potential violence half a world away. You know this. Any of you who returned to school earlier this month know how easy it is for the same person to speak kind words and then cruel names. You know this is part of our condition. You know how easy it is to speak a blessing and the next moment spew some curse. Like all of our lives, all of our body, made for praise and potential to inflict harm on others and damage our relationship with God. You know this, your tongue can get you into the worst kind of trouble. “it boasts of great exploits.” We get taken to task for what we say (Pres Obama “you didn’t build that”) or what we don’t say (Gov Romney not mentioning the troops). Our speech caries the potential to bless and to curse. And it’s so close to home. Raise your hands, how many of you were formed by a religious community other than the Episcopal Church? How many of you were formed by Roman Catholic Church? The reality of the Church today is that many of us have been formed by multiple religious communities, which is part of what makes our ecumenical and interreligious work so important. If you were form by Roman Catholicism, you may be familiar with the language around mortal and venial sins. Mortal sins are those big serious ones and venial sins are the smaller, daily slip-ups. The Roman Catholic theologian Charlie Curran said “the problem with putting the focus on “mortal” or serious sins, is that mortal sins are very hard to do. Mortal sin completely and totally separates us from God. Hard to do. Rather, venial sins, lesser sins are with us all the time. Curran wants us to focus on the lesser sins- he says its there, with the lesser sins that are with us all the time, that we find our path to spiritual growth. In some ways, this is the opposite of that workplace adage about ‘not sweating the small stuff’- Curran is saying the small stuff matters. 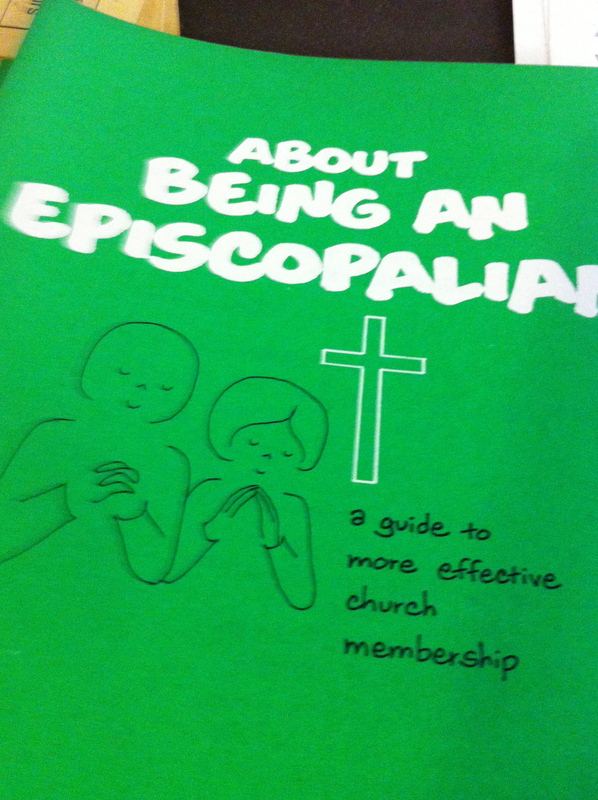 Raise your hands, how many of you were formed by a religious community other than the Episcopal Church? How many of you were formed by Roman Catholic Church? The reality of the Church today is that many of us have been formed by multiple religious communities, which is part of what makes our ecumenical and interreligious work so important. If you were form by Roman Catholicism, you may be familiar with the language around mortal and venial sins. Mortal sins are those big serious ones and venial sins are the smaller, daily slip-ups. The Roman Catholic theologian Charlie Curran said “the problem with putting the focus on “mortal” or serious sins, is that mortal sins are very hard to do. Mortal sin completely and totally separates us from God. Hard to do. Rather, venial sins, lesser sins are with us all the time. Curran wants us to focus on the lesser sins- he says its there, with the lesser sins that are with us all the time, that we find our path to spiritual growth. We commit so many sins with our lips, and increasingly with our fingers to our keyboards. Many ways we “speak” now- type, text, tweet. As a bicycle commuter, I’ve gotten the clear message from angry automobile drivers without hearing a word through their glass windows. James calls it evil, recognizes how potentially destructive it is, but he reminds us that with that same mouth we bless the Lord. With those same fingers we type kindness and compassion or snark and vile. I watch my Jewish colleagues sign off of social media on Friday nights to keep the Sabbath. They have a unique witness in social media. I’ve often wondered what our unique, particular Christian witness could be. What if they knew we were Christians by our love? By our kindness and compassion? By our words of grace instead of cruelty. Will they know we are Christians by our words? James expects to see a changed life out of the Christian community he is writing to. First , he expects Christians to treat the poor with generosity and inclusion. Secondly, James expects the Christians to speak differently. James wants us to get in the habit, in the practice of being bridled. Aren’t we like wild ponies! We resist constraint. We claim our freedom of speech as a right! Yes, we can say almost anything. But what should we say? There is a difference between what we can say and what we should say. James expects Christians to speak differently, type differently, act differently. I have a friend in her mid thirties now who rarely wears shorts or skirts. Tall, lanky, impressive in stature. But when she was a small child, she was all knees and elbows. Do you remember those little wooden toys where when you push on the bottom, all the limbs of the giraffe go slack? My friend was a baby giraffe as a little girl. And a beloved uncle, kind and good, once said that her legs were like piano legs. His words fell into that tender place worn raw from cruel words of grade school kids, and they stuck. We do not know what battle someone else is fighting when we speak our words of blessing or a curse. James asks you to watch your tongue and keep your words holy. Will they know you are a Christian by your words? Amen.